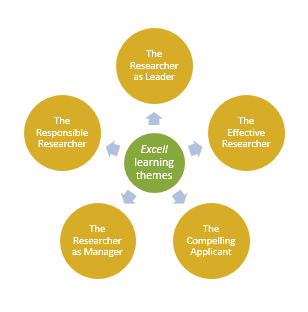 The Africa Research Excellence Fund (AREF) is delighted to announce the launch of the Excell Researcher and Leadership Development Programme funded with a grant from the Robert Bosch Stiftung. About the Award: The aim of the Excell programme is to enhance research capacity in global health – by African scientists in Africa for Africa. Through this 2-year programme, AREF will work closely with four to six research institutions from Sub-Saharan Africa, selected competitively. This call is open to legally established universities and internationally-recognised research institutions based in Sub-Saharan Africa. Applications should be submitted to AREF from the institutions by an authorised institutional Academic/Researcher-development lead who, as Lead Applicant will be responsible for developing and implementing the Excell programme within their institution. Your application will need to be sponsored by the institution’s leadership: a named official with responsibility for research capacity development, such as the pro-vice chancellor for research or the research institution’s director. He/She must personally engage in local sponsorship and governance of the Excell programme. AREF will accept applications from an entity within a university, such as a faculty, institute or centre, provided that the application is authorised by the institutional leadership (sponsor). Only ONE application will be accepted from each university or research institution. Joint applications such as between a university (-ies) and independent institutions are welcome, if one institution takes the lead and is responsible for ensuring sound governance and implementation. Nominating participants: Each organisation will select three or four nominees to participate in the programme, through an internal transparent, competitive process. Institutions are encouraged to use the AREF-provided nominee application form and call flier, and to adapt them for their internal competition. Institutions are strongly encouraged to start the process of selecting nominees early to ensure timely submission of their application. AREF is keen to recruit talented researchers from a broad range of disciplines, including laboratory, clinical, behavioural, social, public health, economic, health systems, and environmental and mathematical sciences. Their research must be directed towards achieving better health outcomes in Africa. Value of Award: AREF will enable 20 individual researchers (nominees) from our participating research institutions to realise their potential – build strong research careers, empower excellent teams, win funding and collaborate internationally. How to Apply: Before starting your application, please read through all the information supplied. Submit your form and supporting documents to AREF (aref@mrf.mrc.ac.uk), copying in jajallow@mrc.gm (AREF Senior Administrative Assistant) by 4pm of 15 March 2018.